Founder and CEO of InQuest, Michael hails from the public sector, serving nearly 15 years as the director of the Pentagon’s Computer Incident Response Team (PENTCIRT). Among the top five largest offices in the world and certainly among the most targeted. Mike’s operational experience is unparalleled. He has hands-on experience with nearly every security product under the Sun. Mike has held numerous positions within the US Department of Defense (DoD) and the Intelligence Community (IC) where he is recognized as a Subject Matter Expert in the fields of intrusion detection and analysis. Author of several DOD standards for intrusion detection, in 2007 he was recognized by the Army as the Information Assurance Professional of the Year. Joining InQuest as CTO, Pedram was formerly a director at Avast, after the acquisition of his startup Jumpshot, a solution for the identification and removal of deeply entrenched malware. Previously, he founded the Zero Day Initiative at TippingPoint, where the Intrusion Prevention System (IPS) was invented. At TippingPoint he built and managed the world's largest group of independent researchers. To date the predominant source of all Microsoft vulnerability discoveries. He has historically spent much of his time in the shoes of a reverse engineer, developing automation tools and processes. Pedram has formerly presented and given training courses at Blackhat and numerous other infosec conferences globally. Pedram holds a CS degree from Tulane University and is an author of the book "Fuzzing: Brute Force Vulnerability Discovery". As Rackspace Chief Security Officer, Brian Kelly looks out for the safety and security of Rackers, facilities, infrastructure and data/information. Brian also brings his vision and expertise to the development of Rackspace’s security offerings. His contributions are significant, as our 300,000 customers all over the globe trust us to provide and maintain mission critical compute, network and storage workloads. 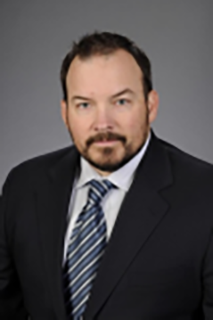 Brian joined Rackspace in October 2014 after three decades of leadership experience in security, special operations/intelligence, and business operations with the U.S. government, Department of Defense (DoD), and private sector. He previously led the Giuliani Advanced Security Center in New York and served as CEO of iDefense, the first cyber threat intelligence provider for the private sector. A native Bostonian who has kept his accent, Brian graduated from the U.S. Air Force Academy, where he earned a degree in management and lettered in three varsity sports: hockey, lacrosse, and boxing. Brian was also selected for a prestigious Department of Defense fellowship in Washington, D.C. He later earned an MBA from Rensselaer Polytechnic Institute and a MS from the Air Force Institute of Technology. In the Air Force, Brian rose to the rank of lieutenant colonel, leading teams involved in satellite surveillance, cyber security, cyber warfare, and management of highly sensitive operations around the globe. As a DoD Fellow, he advised the Joint Chiefs of Staff and the Secretary of Defense, and received a DoD meritorious service medal. Brian left the Air Force in 1995 and moved to San Antonio to lead business operations for Trident Data Systems, which provided support to the intelligence community and developed information warfare tactics, strategies and technologies.. He later served as a partner (select) at Deloitte and Touche, president of Newbrook Technologies, and executive director of IT risk transformation for Ernst and Young. In each role, he honed his skills in executive leadership, personnel, data and facility security, incident response, and forensic evidence collection. He has also worked closely with senior executives for leading companies in global financial services, technology, health care, and manufacturing. A gifted speaker and storyteller, Brian frequently presents at industry conferences on security. He is the author of “From Stone to Silicon: a Revolution in Information Technology and Implications for Military Command and Control” and a contributing author of the book, “Navigating the Digital Age, The Definitive Cybersecurity Guide for Directors and Officers”. Brian also sits on the board of directors for a number of organizations, including the University of Texas San Antonio Advisory Board for the School of Engineering. In his spare time you can find Brian and his wife Cindy spending time with their three daughters and three granddaughters. They both enjoy hiking, skiing, kayacking and other outdoor adventures. And Brian still actively plays hockey and lacrosse. Michael was previously the CISO at Zscaler, a company that has pioneered the Security-as-a-Service space. As a member of the founding team, he spent a decade building Zscaler’s research team, driving the security model and evangelizing the vision. Prior to Zscaler, Michael helped build SPI Dynamics (acquired by HP) and iDEFENSE (acquired by VeriSign). Following Zscaler’s successful IPO in March 2018, Michael chose to pursue his passion for angel investing on a full-time basis by launching StoneMill Ventures. He seeks out passionate entrepreneurs ready to disrupt key components of the security ecosystem. Michael is an active investor who looks for founders desiring mentorship alongside financial capital. Cybersecurity Executive with proven experience as a CSO, CISO, and MSSP Business Owner. USAF Veteran. Doug Steelman is a Cybersecurity Business owner and USAF veteran with over 25 years of experience in the information technology and security space. Previously, Mr. Steelman was the SVP, Managed Security Services for Optiv. Prior to this role he was the Chief Security Officer for managed security services leader Dell SecureWorks. Mr. Steelman was a plank holder of United States Cyber Command (USCYBERCOM J34) while serving as the Director, DoD Dynamic Network Defense Operations. As the J34, Mr. Steelman was responsible for integrating, synchronizing, and deconflicting offensive, defensive, and on-net operations across USCYBERCOM Components and DoD Computer Network Defense Service Providers. Mr. Steelman served in other DoD roles to include the Joint Task Force – Global Network Operations (JTF-GNO J34) as Director, DoD Network Defense. He also served as the Chief of Network Assurance for Network Security Services – Pentagon. During this service he led the Pentagon’s Information Technology Agency through its Tier Two Computer Network Defense Service Provider certification. Mr. Steelman also led day-to-day operations for the Pentagon CIRT, the central incident handling organization for the Pentagon user community both locally and across the National Capitol Region. Mr. Steelman began his career in 1991 serving in the United States Air Force and holds a B.S. in Computer Science from Troy University and an MBA from The University of Tennessee. Stu is a long-time security industry veteran with operational and executive background across all facets of the public and private cyber security landscape. 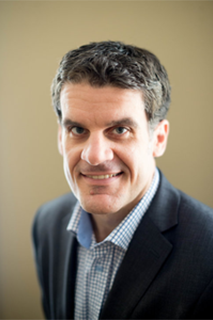 Currently the Chief Strategy and Corporate Development Officer for Recorded Future, his role is responsible for driving internal and external initiatives and partnerships to help continue to solidify and expand Recorded Future’s place as the global market leader for threat intelligence led strategies to help clients of all types reduce digital risk. Previously, Stu was the Chief Technology Officer for the Global Solutions Integrator, Optiv, responsible for understanding the broad cyber security vendor ecosystem and leading Optiv’s go to market efforts with its vast partner community as well as previously leading their Global Services businesses including the Optiv MSSP, Security Consulting and Emerging Technologies divisions. Stu has a deep background in threat intelligence prior to joining the Recorded Future team having previously held executive leadership positions at iSIGHT Partners leading to their ultimate sale to FireEye in 2015. On the enterprise side among other experiences, Stu is a former SVP at Bank of America where he led numerous Information Security, Business Continuity and Third Party Risk functions globally. Ken Deitz became CSO/CISO of Secureworks in February of 2016. Ken has been with Secureworks since early 2011 when he was brought onboard to create and manage the Corporate Incident Response Team. Prior to joining Secureworks, Ken served as Branch Chief of Dynamic Network Defensive Operations – Fusion Center for U.S. Cyber Command. During Ken’s tenure as a Branch Chief at U.S. Cyber Command he led the DoD Focused Operations Team, DoD Network Forensic Team, the DoD Media and Malware Analysis Laboratory, and the DoD Information Assurance Vulnerability Management program. 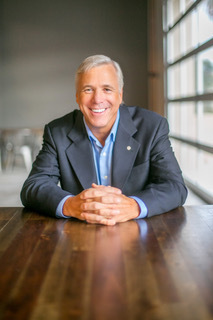 In addition to other leadership roles Ken’s early career included Global Network Exploitation Analyst for the National Security Agency, and Senior Information Assurance Analyst for L1 Identity Solutions.